Mammoth Police officers are among those looking for Alan Kierkegaard who is the suspect of a Grass Valley attempted homicide and carjacking. According to law enforcement the alleged incident occurred on Sunday July 5th. The victim is a 78 year old woman. According to a Mammoth Police department press release, Alan Kierkegaard is a suspect in the assault and carjacking of a 78 year old woman outside of a Catholic Church in Grass Valley, CA. Prior to moving to the Grass Valley area, Kierkegaard was living in Mammoth Lakes. While in Mammoth Lakes, MLPD officers contacted Kierkegaard several times, as a transient living near Mammoth Creek and at St. Joseph’s Catholic Church. Although there is no specific intelligence that Kierkegaard is back in the Mammoth area or has plans to return, often times criminals will return to areas in which they feel comfortable. The victim’s vehicle, which Kierkegaard may still be driving is described as a 2013 Honda Accord, Gray, with California license plate 6ZHX462. Do not approach the suspect or the stolen vehicle. Call 911. Mammoth Community Water District Joins California’s Conservation Efforts with the “Brown is the New Green” Lawn Sign Campaign. The Mammoth Community Water District (MCWD) implemented Level 3 Water Shortage Conditions this year in early April when the runoff year started with just 2 percent of normal conditions. Reducing irrigation demand is critical to ensure they meet their 30% reduction target and have a reliable potable water supply. 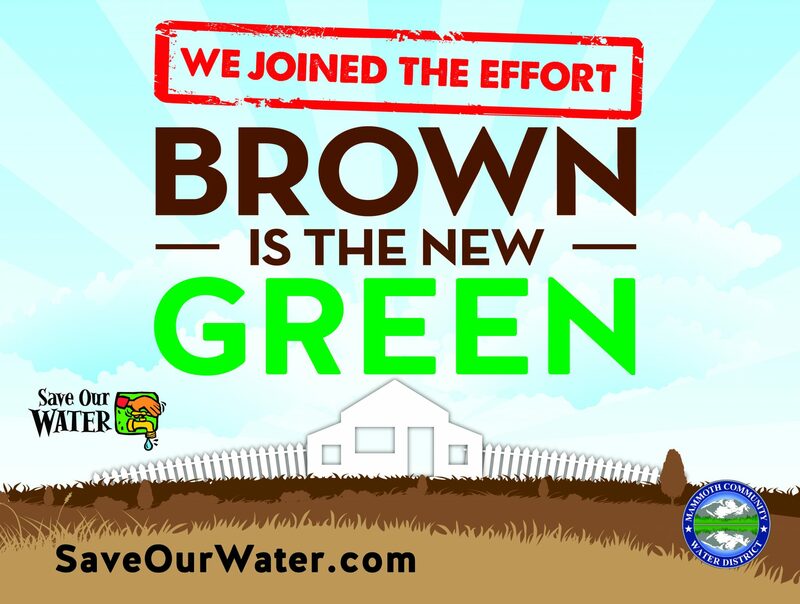 With irrigation starting up and water resources at critical levels, the MCWD is hoping lawn signs sporting the new conservation message, “Brown is the New Green” will encourage more customers to reduce landscape water use. The current irrigation schedule of 2 days a week with significantly reduced times, should allow for enough water to keep landscapes alive, but customers should expect to see some signs of stress. “We’d like our customers to make sure their irrigation systems are running efficiently and find ways to cut back on their irrigation consumption where possible,” said Pat Hayes, General Manager at MCWD. The District is stepping up water conservation enforcement. Customer data is reviewed daily and those who are not following the time of day and day of use requirements will be issued violation notices. After two violations, those not in compliance will be faced with a $50 per day fine and ultimately have water restrictors or shutoff occur. Mammoth Lakes, CA – The Town of Mammoth Lakes in partnership with Crowley Lake Fish Camp is proud to once again host the annual Fourth of July Fireworks Spectacular at Crowley Lake. The Independence Day fireworks show promises to be a bright and striking display of color in the Eastern Sierra night sky. This year’s “Sky Concert” will propel over 737 shells into the Eastern Sierra sky for a mesmerizing 20 minutes beginning at approximately 9:15 p.m. (weather permitting). Funding for this year’s Fourth of July show was generously donated by individual community members and business owners, second homeowners, L.D.C. and from the Town’s general fund. Since incorporating in 1984, the Town of Mammoth Lakes has been celebrating Independence Day with a spectacular fireworks show. The Town contracts Pyro Spectaculars by Souza to light up the sky above Crowley Lake. Souza is well known for doing some of the largest and most spectacular fireworks displays in the world. Admission to the Fourth of July Fireworks Show is once again only $25.00 per car, RV, or truck (excludes camping), and $5.00 per individual/bike (walking/riding). Prior to the spectacular fireworks show, kick back on the Crowley Lake Fish Camp lawn and enjoy live music playing from 4:30 – 8:30 p.m. The new Crowley Lake Fish Camp restaurant: Pelican Point Grill will be serving BBQ and Holiday specials including cold beverages from Noon – 8:30 p.m.
Camp permitting at Crowley Lake Fish Camp for the Fourth of July begins Thursday, July 2, 2015 and ends Monday July 6, 2015. The entire lake shore at the South Landing of Crowley Lake is open for camping, and the fee is $125 per vehicle including the fireworks show for the 5-days. The North Landing/North Shore of Crowley Lake will be closed beginning at 12:00 p.m. on Thursday, July 2, 2015, thru 12:00 p.m. Monday, July 6, 2015. 1. No personal fireworks are permitted within Mono County, including the Inyo National Forest (INF), and Bureau of Land Management (BLM) lands. Be smart; leave the fireworks to the professionals! 2. Due to EXTREME FIRE DANGER, the Mammoth Lakes Fire Protection District, Long Valley Fire Department, Mammoth Lakes Police Department, California Highway Patrol and Mono County Sheriff will enforce a “zero tolerance” policy with respect to the possession and use of fireworks. Fireworks violations will be strictly enforced. 3. Please obey road closure and no parking signs. Parking is NOT permitted along Highway 395 or Crowley Lake Drive at any time. Do not park in fire lanes. 4. The Mono County Sheriff’s Office will be patrolling on Crowley Lake during the fireworks show. Do not boat within 100 yards of the fireworks detonation site at Hilton Bay and proper night-time navigation lighting is required. 5. Help us keep Mono County clean. Please use designated trash facilities. 6. Do not drink and drive. Please use a designated driver or plan to camp at Crowley Lake Fish Camp. Rain in May Helped Conservation Efforts But Fail to Replenish Surface Water Supplies. Conservation, cooler temperatures and rainfall in May contributed to a significant reduction in water consumption by Mammoth Community Water District (MCWD) customers compared to May 2013. Unfortunately, not enough rain fell to raise Mammoth Creek flows to levels that would allow MCWD to store water in Lake Mary or to divert water to customers. As a result, MCWD would like to remind customers that water supplies remain at a critical level as we start the summer irrigation season. May water demand from MCWD customers this year was 54 percent lower than May 2013, saving 55 million gallons of water. This reduction exceeds the MCWD’s Level 3 reduction goal of 30 percent. Although this May received an inch more rain than in 2013, the savings is still significant. General Manager Pat Hayes remarked “Our customers are keenly aware of their environment and are seeing the effects of the drought. It seems this connection is translating into turning down the spigot.” The year 2013 is being used as the baseline for comparison purposes by the state and MCWD. The MCWD has been almost entirely dependent on groundwater supplies since last year. Surface water has been limited or unavailable as Mammoth Creek flows have been too low to divert for drinking water supplies. These limits to storage and diversions are embedded in MCWD’s water right permit and licenses to protect Mammoth Creek resources. Fortunately, the MCWD can turn to their nine groundwater production wells this summer to supply the community. MCWD is keeping a close watch on groundwater levels this summer as we transition into the irrigation season. For MCWD customers, Level 3 Water Shortage Restrictions remain in effect until conditions improve. All customers are encouraged to visit the MCWD website for a list of the restrictions. Wild Iris is having two GREAT fundraisers this weekend! They hope you can join them at one or both, and help support the work they do! 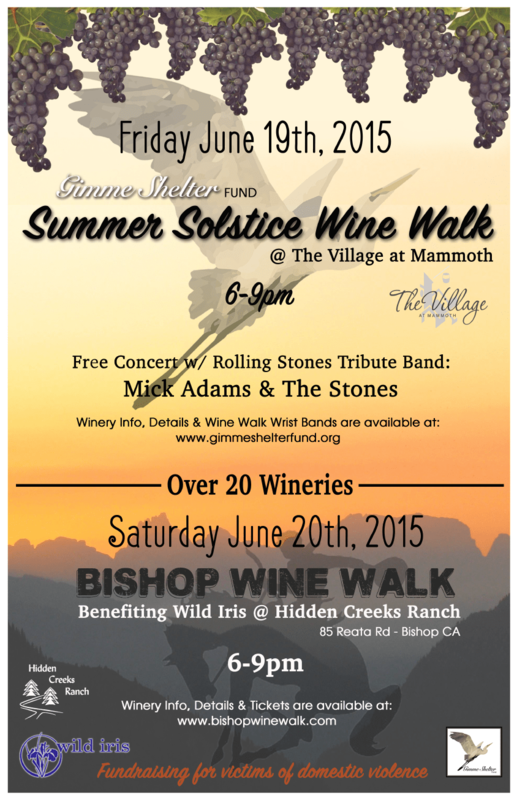 What: Summer Solstice Wine Walk & free music! Now that winter seems to have faded, the Mammoth Lakes Fire Protection District (MLFD) wants to remind residents of your responsibility to keep your property fire safe. Long term residents are aware of the wildland fire incidence that can occur around town and especially after dry winters and with windy, hot, dry summers. From just about anywhere in town one can see the results of previous fire activity and the scars that have been left behind. Establishing and maintaining defensible space around our property is all of our responsibilities. We are all part of the team that will protect our community should we find ourselves in the situation of a wildfire threatening town. A well-maintained landscape enhances the beauty and value of any property— and just as importantly, the work serves as a fuel break. The goal is to keep your landscape lean, clean and green. The following steps can reduce your home’s vulnerability from the threat of wildfire and reduce your use of irrigation. ZONE 1: 30 feet or more adjacent to the home and beyond attachments such as wooden decks. Within the first 10 feet of the home, use nonflammable landscaping materials (rock, pavers), or low level annuals or perennials less than 18 inches in height. There should be nothing flammable within 10 feet of the home. Keep this area lightly irrigated and free from dead or dry vegetation, combustible debris, and accumulations of leaf and needle litter. Plants should be carefully spaced, low growing and free of vegetation high in resins, oils, and waxes that burn easily. Mow lawns regularly. Prune all trees up 1/3 the height of the tree or so the lowest limbs are 10-15 feet from the ground. If adjacent to a structure, prune up to the eave level. Clearance shall be a minimum of 10 feet from chimneys/stovepipes. Keep roof surfaces clear. Thin out living vegetation 30 to 50% within this zone to decrease fire intensity and continuous path of travel. Allow space between tops of trees to reduce the risk of crown fire. Keep firewood stacks/piles at least 30 feet from the home. If this is not possible, from June 1 to September 30, cover entire woodpile with properly secured, fire resistive, California State Fire Marshal tagged tarp. Water plants and trees as needed to ensure they are healthy. Do not use finely shredded mulch and mulch should be wetted periodically. Areas around and above propane tanks need to be kept clear of vegetation for 10 feet. ZONE 2: Approximately 30 to 100 feet from the home (if your property size permits). Leave approximately 30 feet between clusters of two to three trees, or approximately 20 feet between individual trees. Do not remove more than 1/3 of the crown density. Limit vegetation that serves as a link between low level vegetation and tree tops (ladder fuels). Prune trees so branches and leaves are at least 10-15 feet above the ground. Give yourself added protection with “fuel breaks,” such as gravel walkways, and lawns. Remove any dead or dying material from yard and break up continuous patches of brush species to slow fire advance and decrease heat productivity. Property owners who are unable to do this work themselves are encouraged to hire a licensed professional who both understand this information and can apply it to the property. MLFD maintains a list of qualified contractors that can perform this work. Failure to comply with the regulations and clear your property in a timely fashion is not only expensive, but endangers the lives and homes of your neighbors, the community, and the firefighters who protect them. If you would like more information on this or any other fire safety related matter, please feel free to contact the Mammoth Lakes Fire Department at (760) 934-2300. The Mammoth Community Water District (MCWD) takes pride in providing quality water and sewer services to the community of Mammoth Lakes. This construction season, the MCWD will be making water and sewer distribution improvements throughout the Town of Mammoth Lakes. The replacement and improvement schedule for this summer includes water service lateral replacements in the Sierra Valley Sites and Tamarack Lane areas, connecting new pressure reducing control valves at Timberidge pump station, installing water distribution system isolation valves and replacing the remaining small sections of steel water mainlines. MCWD Construction Crews have started work on the Summer 2015 Water Lateral Replacement Project. Currently the crews are working along Mono Street between Dorrance Drive and Meridian Blvd. Next week, the crews will also be working along Manzanita Road between Dorrance Drive and Meridian Blvd. District crews will be working between the hours of 7:00am – 5:00pm. Please drive carefully, be alert in construction areas and use alternative routes when possible to keep our crews safe. Visit our website at www.mcwd.dst.ca.us to follow the progress of our summer crews. These construction projects improve the reliability of the water and wastewater systems, improves fire safety and reduces water loss in the Town of Mammoth Lakes. If you have any questions or comments contact Nick Holt at 760-934-2596 ext. 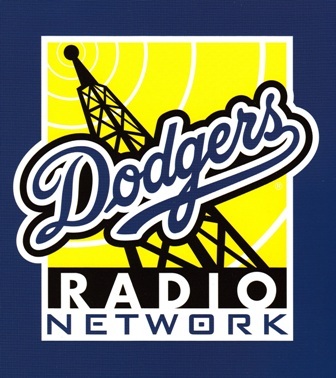 290. Rep. Paul Cook (R – Apple Valley) announced that he will host a meet and greet event on Sunday, May 24, 2015 for constituents in the Inyo-Mono region. At the meet and greet, Rep. Cook will provide a legislative update and field questions from residents in the area. The event will take place on Sunday, May 24 at the Mammoth Rock Brasserie Restaurant located upstairs at the Mammoth Rock ‘n’ Bowl. The address for the event is 3029 Chateau Road Mammoth Lakes, California 93546. This will provide a great opportunity for residents of California’s Eighth Congressional District to hear directly from their Representative in Washington. For further information, please contact Rep. Cook’s District Office at 760-247-1815. A member of the House Natural Resources, Armed Services, and Foreign Affairs Committees, Cook served as an infantry officer and retired after 26 years as a Colonel in the U.S. Marine Corps. During his time in combat, he was awarded the Bronze Star and two Purple Heart. This past weekend, Mammoth Lakes Police Officers took reports of two residential burglaries and one attempted burglary in the Snowcreek area. Heavy Equipment, parked behind Fire Station 2 was also vandalized and may be related. The suspect broke out glass windows to gain access to the deadbolts at the front door of the residences. No injuries were reported and the residences were not occupied during the crimes. White or Hispanic male adult, 20 years old +, short hair, black pants, black t-shirt, black hat and a large black backpack. The suspect has a skateboard and has been seen skateboarding on Club Dr. from Old Mammoth Road to the Snowcreek Condos. This morning, when MLPD officers came on duty, they became aware of another break-in that occurred in the same area. Upon arrival, officers made entry and cleared the condo of any potential suspects. MLPD officers and property managers then discovered a total of 8 units that had been broken into during the night or early morning hours. A witness described seeing a possible suspect leaving the area on foot early this morning. MLPD officers, assisted by deputies from the Mono County Sheriff’s Department and Mono County D.A. Investigators sealed a perimeter and searched the area on foot for several hours. The suspect is still at large. The numerous crime scenes are being processed for evidence. Please be on the lookout for anything or anyone who appears suspicious. Report suspicious activity to the Mammoth Lakes Police Department or call 911.